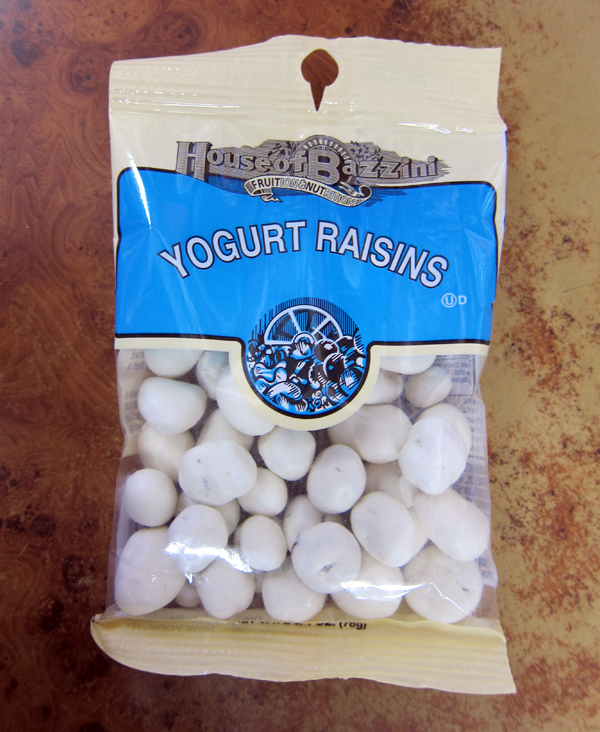 Yogurt Raisins are sort of the quintessential bad thing. 1. In some insane way I like them. 2. They taste horrible, like crayons. 3. But crayons taste better. 4. Because they claim to fuse yogurt and raisins into one tasty bite, they seem healthy. 5. They are not healthy. The fake yogurt coating is made from sugar and palm kernel oil. 6. No yogurt goes into making them. 7. Most places that sell them, sell old ones, because they don't sell well.